Filled with warm melodies and a beautiful heart for praising God, this album of Gospel treasures from Guy Penrod is sure to help lift your spirits and your hands. Known and loved around the world for his heartfelt, country gospel style and powerhouse singing, Guy Penrod has created an all-new collection of some of today's most popular worship selections. Showcasing his warm and familiar vocals, the release includes twelve church favourites that feature Guy's signature arrangements of both classic and contemporary songs of worship. 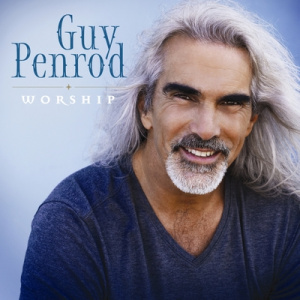 Worship CD by Guy Penrod was published by Gaither in November 2015 and is our 13918th best seller. The ISBN for Worship CD is 0617884896928. Be the first to review Worship CD! Got a question? No problem! Just click here to ask us about Worship CD. Now Playing: You Never Let Go Your browser does not support the audio element.